Click here to download the official EWOCC 2019 program! The 34th Annual Empowering Womxn of Color Conference (EWOCC), “Rooted + Rising: Preserving Intergenerational Knowledge, Fostering Revolutionary Possibilities,” is an invocation to the power we have inherited from the womxn who came before us. Like a tree, our roots are deep and nourishing — they stabilize and support us through our traumas, struggles and resistance. In this moment of deep pain , we gather to focus on and reconnect to the wisdom and skills of our mentors, sisters, daughters, mommas, grandmothers, and aunties. Preserving their stories ensures continuity of their knowledge, enabling us to draw from their experiences when crafting our own narratives. We find respite in learning their various forms of resistance. By tapping into these roots, we stand tall. We prepare and create the revolutionary world we want. When we are rooted and rising, we honor womxn past, present, and future, who work for our collective liberation. Through a series of innovative workshops, a panel discussion, and speakers, we will explore how we as womxn of color can stay rooted and educated in our own pasts. As we proudly celebrate 34 years of EWOCC, we invite self- identified womxn of color of all ages, abilities, socioeconomic backgrounds, immigration statuses, gender presentations, sexual orientations, nationalities, religions, and cultural backgrounds to join us. Together, through discussion, learning practical skills, community building, and healing, we will discuss preservation and dissemination of knowledge, and imagine and cultivate revolutionary possibilities. EWOCC has its own legacy of remarkable womxn imagining, shaping and creating the world we inhabit today. Founded in 1985, EWOCC was one of the first conferences to present womxn of color with an opportunity to address the most pressing racial, class, and gender issues we face. As inheritors of this legacy, we recognize the tireless and often thankless work of those who have come before us and those who will pick up the torch after we are gone. This year, it is our time to build and strengthen community, practice radical vulnerability, and manifest a future where our communities are protected. 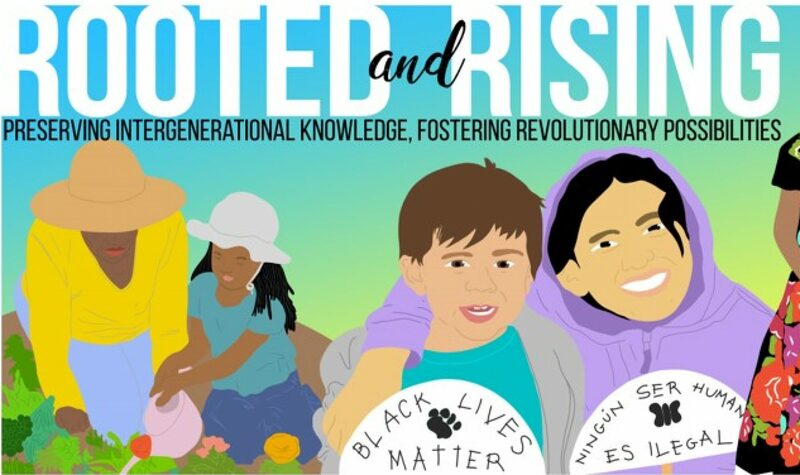 “Rooted + Rising: Preserving Intergenerational Knowledge, Fostering Revolutionary Possibilities” is a statement about reconnecting, reviving and re-centering the various knowledges that bring us power to resist, build and live. EWOCC is recognized to be one of the longest running conferences in the nation that addresses the needs and concerns of womxn of color. The conference brings together cutting edge womxn of color activists such as Angela Davis, Elaine Brown, Cherrie Moraga, Gina Palcado and Chrystos with Bay Area community leaders and academics (especially students) to discuss and strategize ways of impacting the current issues facing womxn of color.